Darren Dodge has a little microwave in the cab of his truck so he can cook himself meals. Wild, stormy weather has once again wreaked havoc on the west coast of the island and throughout parts of Labrador Monday. The stormy weather began on Friday and just hasn't let up. 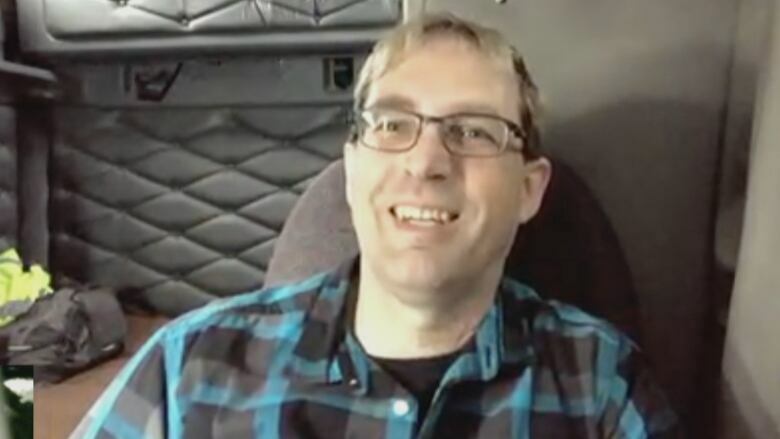 In Port aux Basques, where the day's strongest gusts topped out at 139 km/h, Darren Dodge was holed up in his frosted-over transport truck at the Marine Atlantic ferry terminal. "I'm used to it, it rocks me to sleep," he said of the wind from the cozy confines of his truck's cab. He first arrived Friday night and has been idling his diesel engine to keep warm, running an inverter to power a small microwave when he needs a snack. "​It's not like you can get out and go for a hike anywhere unless you're wearing arctic gear," he said. With all the blowing snow, sometimes he couldn't even see across the parking lot. Dodge is waiting for for the next trailer to come across on the ferry. 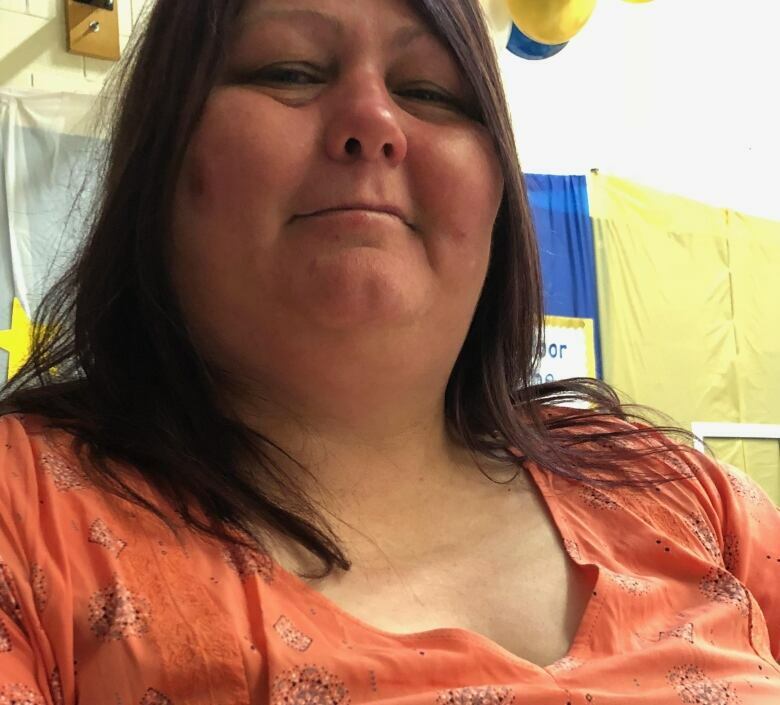 As of 7 p.m. Monday, the night's crossings from both Port aux Basques and North Sydney were cancelled, which means Dodge had another night in the truck ahead of him. Nearly 40 households in Nain have been without heat since 11 a.m. Sunday and relentless winds have kept flights in and our of the community grounded, meaning Newfoundland and Labrador Hydro crews can't get in to fix the problem. Lisa Ivany, the community's recreation director, is one of those people and she's set up a warming station at the Jeremias Sillett Community Centre to get people out of the cold. "I know that I need the heat and I need a shower and food, so if I need it, then those other people need it too," she said. A spokesperson from the hydro company said a broken wire connecting to the main power line is the cause of Nain's outage and that most customers, save for those unfortunate 40, had their power back by 6:30 p.m. Sunday. "Our crew is on stand by and ready to go as soon as the weather hold is lifted," the spokesperson wrote in an emailed statement to CBC News. Alerts for a mixed bag of weather remained in effect Monday evening for various parts of the province. Snow squalls and high winds pelted the west coast of the island, while the Labrador coast hunkered down under blizzards from Makkovik to Black Tickle. The Labrador City area braced under extreme cold warnings. About 15 to 20 centimetres more of snow is expected for Labrador, with winds gusting between 80 and 110 km/h making for near-zero visibility and whiteout conditions. Schools in Corner Brook and Stephenville closed for the day, while other schools in the western, central and Avalon regions shut down for the morning. The high winds prompted Corner Brook to take its public transit buses off the road. "Port aux Basques was the big winner, or maybe loser, depends on how you see it, at 139 km/h. And they've been stupidly windy there for the last 36, 48 hours," said Justin Boudreau, a meteorologist with Environment Canada's Gander weather office. The wintry weather system started on Friday, persisting through Monday morning. Port aux Basques Mayor John Spencer said it's been a hairy situation, with power for "several hundred people" knocked out since 7 a.m. Sunday and power bumps throughout the night. "We set up a warming centre at the local Lion's Club last evening… preparing food, soup, sandwiches. Our transmission line went down and knocked that out," Spencer said. "We set up another contingency to go to the town hall, we have an emergency generator there. Then the emergency generator died. So it's a combination of, when things are going bad, they really go bad." Power crews were unable to get to the Rose Blanche station because the roads were closed, Spencer said, amid "extremely, extremely dangerous and difficult" driving conditions. 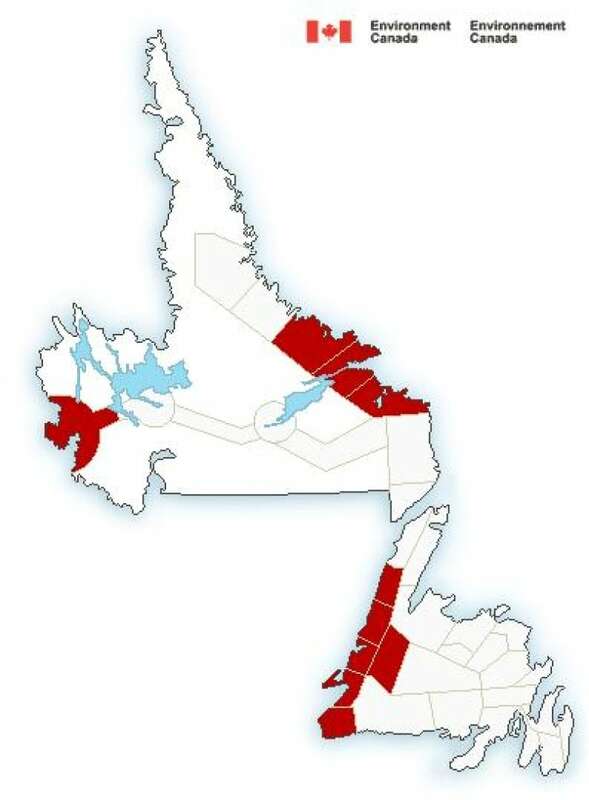 As of 7 p.m. Monday, power was still out for a few hundred customers in the Port aux Basques area, with Newfoundland Power citing severe weather conditions as the cause for the outages. The company figured the lights would be back on by 10 p.m. Monday, according to its website. Environment Canada expects conditions to improve by Monday evening as the squalls dissipate and flurries minimize.